With apologies - this post was supposed to be uploaded a long time ago but my computer was giving me fits. Take a look at this wonderfully expressive work! 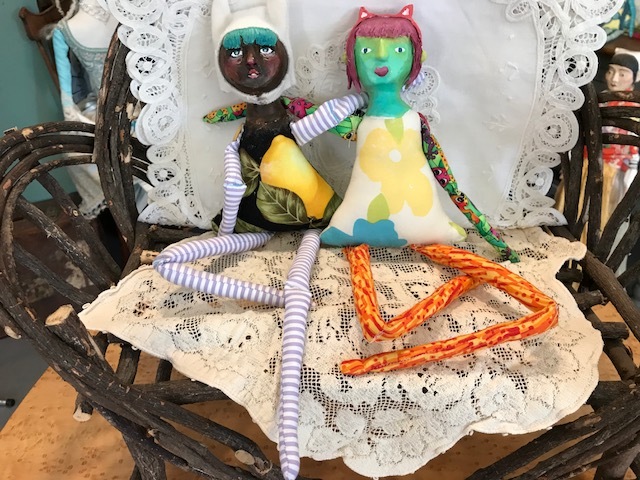 Besties Eleanor and Frances came to take a doll class and were joined by Linda. So fun to see everyone shining in their strengths and enjoying learning new things! After the dolls were made, the photo shoot began. 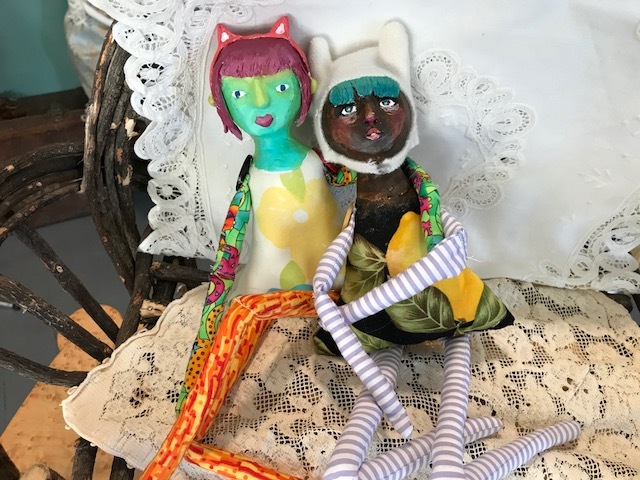 Frances and Eleanor had a blast posing their new dolls! 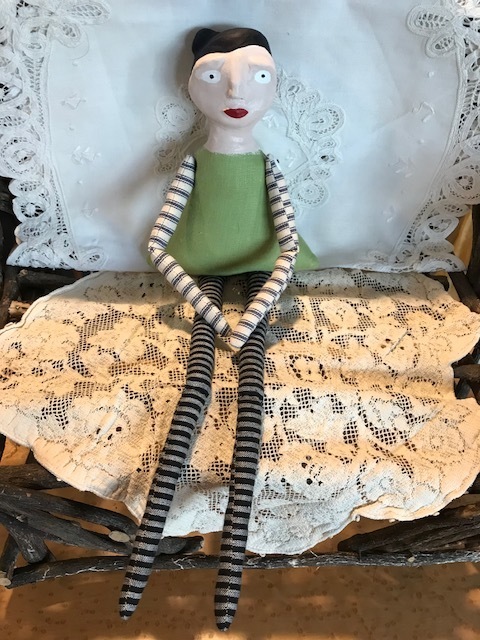 Linda's delightful doll - love her expression! Guess who just happened to be dressed like Linda's doll? Thanks for all the fun, Everyone!